Jan. 24 (UPI) — Toyota will add around 400 new jobs at its manufacturing plant in Indiana and make a $600 million investment in the factory, the company announced Tuesday. 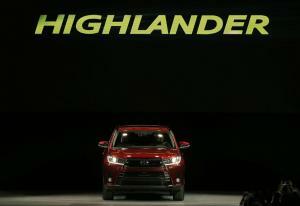 The Japanese automaker will use the money to modernize the plant, which is where its Highlander SUV is manufactured. The company also said the investment will pay for advanced technologies and make the plant more competitive. The retooling of the facility will begin in the fall of 2019 and will produce an additional 40,000 Highlander SUVs per year. “This expansion project is part of Toyota’s localization strategy to build vehicles where they are sold,” the car maker said in a statement Tuesday. The announcement came a few weeks after President Donald Trump criticized Toyota for plans to build a new factory in Mexico to build vehicles for the U.S. market. “Toyota Motor said will build a new plant in Baja, Mexico, to build Corolla cars for U.S. NO WAY! Build plant in U.S. or pay big border tax,” Trump had said in a tweet. Toyota responded to Trump’s message by assuring him that the plant will not take any jobs from the United States, and noted that hundreds of millions of dollars were invested in U.S. Toyota plants last year. “I want new plants to be built here for cars sold here,” Trump tweeted Tuesday before he met with automobile industry executives at the White House.